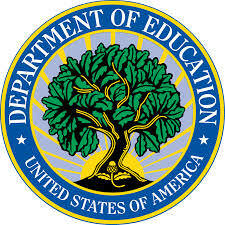 August 6, 2013 :: In granting eight CA school districts a No Child Left Behind waiver, the federal government is creating for the first time an oversight body to measure schools’ progress. Education Secretary Arne Duncan called the panel “unique” among the waivers granted to 39 states and the District of Columbia. The 14-member oversight body will provide an “unbiased external compliance review” of each district’s progress after a series of self- and peer-evaluations. The group includes a Governor’s appointee and a representative for administrators, school boards, superintendents, unions, parents, the civil rights community, English learners and disabled students. In effect, compliance with the terms of the waiver will require agreement from factions that routinely disagree with each other to sign off on academic progress. An oversight panel was not included in earlier versions of the waiver request. It was added after multiple revisions as a way to discourage dissent and win support from groups that might otherwise have objected to protocols of the wavier. The eight districts from California Office to Reform Education (CORE) include Fresno, Long Beach, Los Angeles, Oakland, Sacramento, San Francisco, Sanger and Santa Ana Unified School Districts. Altogether, they represent over 1 million students. The waiver is being granted only for one school year, and no other district can join the eight in that span. After reviewing the first-year results, Department officials will decide whether to renew it for 20-14-2015. The education department will give the participating districts more flexibility and accountability in how they measure student performance and raise academic performance at the district level, as well as more realistic goals for students. This is the first time the Department has granted a waiver to a group of districts. Duncan said no other district or group of districts have applied for a waiver, nor does he expect any other No Child Left Behind waivers to be granted to districts. *An earlier version said the panel included nine members. pp.24: At its heart, CORE’s goal is to build a new system of accountability – the School Quality Improvement System – rooted in a moral imperative to educate all children and engineered on a foundation of transparent data sharing and mutual accountability. Within the peer driven system of the CORE waiver proposal, CORE will facilitate and provide a central point of contact for waiver activities for the LEAs and support the oversight panel and to help ensure good communication among the entire organization and consortium. The School Quality Improvement Oversight Panel will serve in a capacity to ensure LEA compliance and is further discussed later in this document. Additionally expertise within CORE, its external partners/ vendors and participating LEAs’ schools and central offices will be used to provide accountability, support, and assistance across the system. For example, under this new system, all participating LEAs will share their data with an agreed upon third party aggregator (e.g. The John W. Gardner Center for Youth and Their Communities at Stanford University) that would help organize and display the information. If the data were to identify a struggling school, it would be teamed with a demographically similar high-performing school to be an ongoing partner for improvement. CORE has evidence of the effectiveness of this kind of model from experiences within the Fresno-Long Beach Learning Partnership. Following the peer review process during the week of September 15th, each participating LEA will receive a holistic score and comments based on the aligned rubric (preliminary rubric can be found in Appendix H.). If any LEA’s rubric score and related comments do not meet the rubric scoring expectation, the LEA will be required to revise their plan accordingly and resubmit to CORE for comparison to initial peer review scoring and comments to verify appropriate changes were made. Pp35-36: In the spirit of unbiased review, elimination of conflict of interest, as well as inclusiveness of the broader California and National education stakeholder and policy communities, the CORE Board has instituted the School Quality Improvement System Oversight Panel (See Figure X.) for compliance and status reporting. This Oversight Panel will be comprised of 14 members from the broader education field to receive and review annual implementation progress and status of the LEAs’ School Improvement System implementation expectations. The Oversight Panel will include many of California’s major stakeholders in education. Panel members will represent the civil rights, English learner and students with disabilities communities as well as nationally recognized organization members that share CORE’s common goals of ensuring college and career readiness for all students. The Oversight Panel coordinated and facilitated by CORE staff, will annually elect a chairperson who leads meetings and will only vote in tie-breaking situations. Otherwise, the Oversight Panel will operate with a voting group of a simple majority and operate in compliance with the Brown Act Open Meeting Law. In person meetings of the Oversight Panel will occur biannually in mid-to-late January and mid-to-late June. Up to three additional meetings can be called each year to be held in either virtual or face-to-face settings. The panel must operate with a majority or seven of the 14 members and the first convening of the Oversight Panel will occur in January of 2014. Each year, during the June meeting, the panel will receive LEA self-evaluation reports with peer reviewer comments and recommendations regarding implementation progress and status. All LEA self-evaluation reports will be peer reviewed against the CORE Board adopted common rubric (Appendix H.) and then aggregated and presented by CORE staff for the approval or denial of the Oversight Panel. The Panel will receive decision making guidance from CORE staff regarding LEA School Quality Improvement System implementation. The Panel will only receive for review and possible action LEA implementation self-assessments during January meetings if an LEA has failed to meet its implementation, reporting and monitoring obligations in the previous year and first semester of the current year. If an LEA fails to meet the implementation, reporting and monitoring obligations as submitted in and peer-reviewed annual (June) School Quality Improvement System Implementation self evaluation report, CORE staff will support the LEA to design and apply implementation steps for successful implementation in the following year. CORE staff will visit and meet periodically with the LEA in support of the additional implementation steps. The LEA will then submit a mid-year interim report by mid-January of year two participation for a second peer-review cycle. If the LEA still has not been able to fully implement the School Quality Improvement System based on the common evaluation rubric, CORE will notify the Oversight Panel of the LEAs inability comply (during the January meeting). If the Oversight Panel makes a determination to recommend waiver revocation to the USED, the LEA must be informed no later than the 2nd Friday in April, The escalating interventions and monitoring for reporting support and communication regarding the aforementioned steps is reflected in Figure 9. Monitoring Escalating Interventions for School Quality Improvement System below. The Oversight panel will make a decision whether or not to recommend to the USED if a waiver revocation is necessary due the LEA’s inability to comply with full implementation. The first time the Oversight Panel will consider whether any LEAs should lose their waiver due to lack of implementation as described in Figure 9. will be in the spring of 2015. The USED is solely responsible for revocation of Waiver agreements.